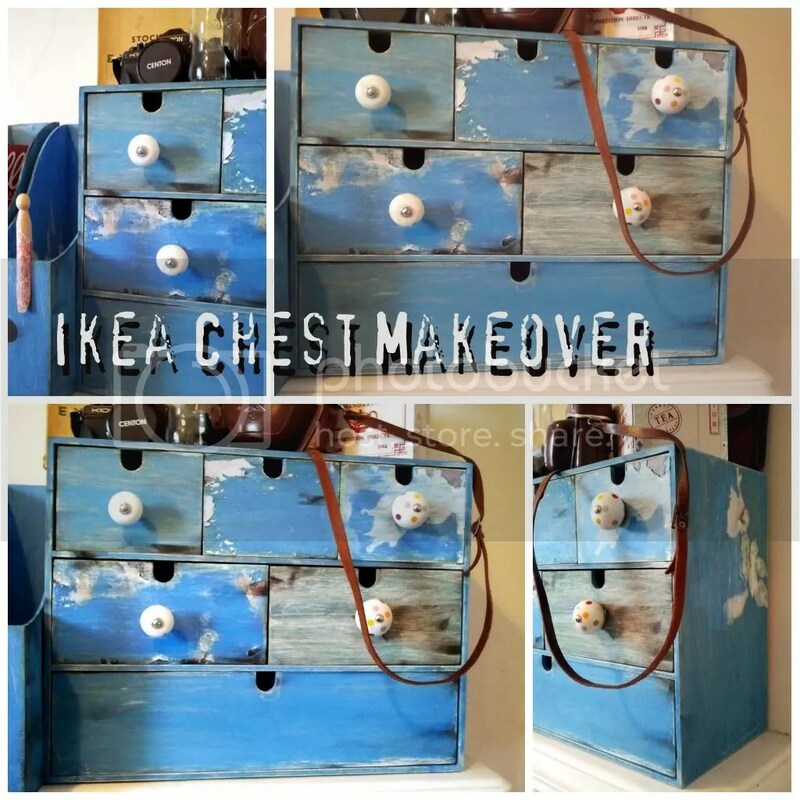 Ikea chest makeover. I had a plain wooden chest from Ikea that was driving me mad- I knew I had to customise it but how? Shabby Chic or distressed grunge? I ended up with a bit of both. I sanded it first then applied a white wash of acrylic and water. Then I drilled holes in four of the drawers for the knobs. I pasted some paper on the drawer fronts, which I wasn’t really happy with. I painted them with a mixture of blue acrylics, which I changed for each drawer and sanded the paper away. I added the knobs and then brushed some black pigment ink over the whole thing. 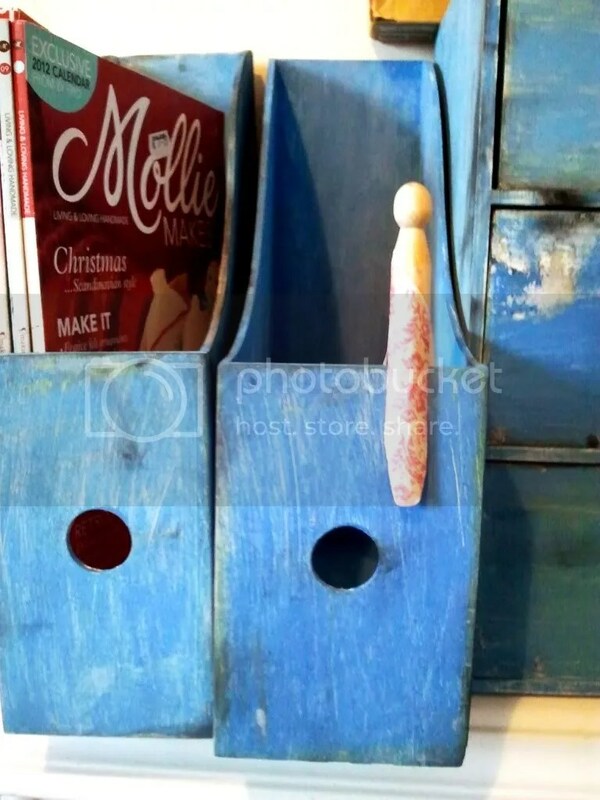 This entry was posted in Craft and tagged craft storage, ikea, tutorial. I also want to do a makeover on my bedroom (hopen and malm series), I really love this style but I fear it wouldn't work with a flat, slick background (like the one I have in both hopen and malm). Do you have any suggestion about it? Thanks Sarah, I'll give it a try!